If you think you are alone when you experience digestive issues like bloating, smelly gas, or elimination issues, you aren’t! There are 60-70 million Americans that are suffering with you, with a skew towards more women than men experiencing symptoms. With the way our food is produced, and the habits we have around placing productivity at the top of our priorities, we have created the perfect storm for our digestive system to run amuck. 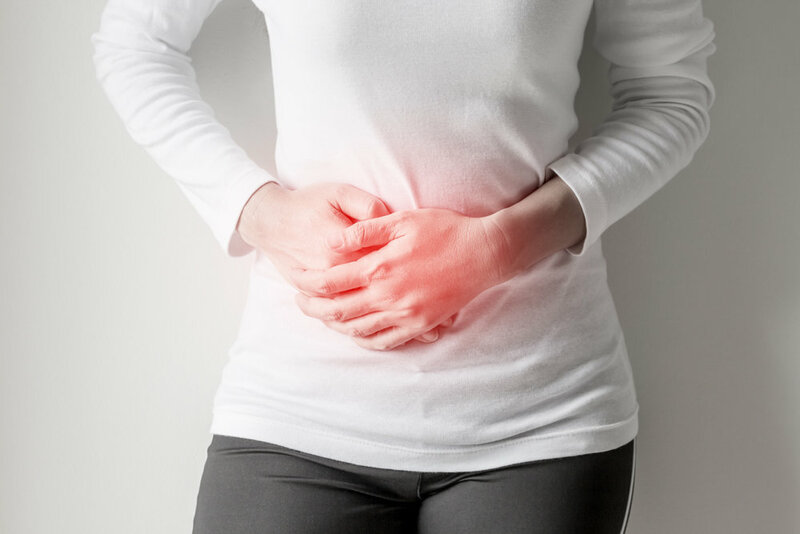 More and more people are reaching out to me because of problems with their digestion, and I wanted to share some of the more simple solutions that may in fact be causing your digestive issues. Eating on the Run. Are you grabbing your morning smoothie and inhaling it on the way to the bus? Or trying to eat that breakfast sandwich in the car? Or even in front of your computer as you start those morning emails? Chances are, you are swallowing large bits of food whole, which makes more work for your digestive system (do things feel like they are just sitting there? ), and you’ll end up passing some of that food undigested in your stool. A good test is to look at your stool the next time you go number 2 and see if there is any visible bits of food. Carve time out in your day to eat, and ONLY eat. This can feel really hard and even a time waster, but your body needs to be relaxed and ready to digest for you to get the maximum benefit out of your food. Chew Thoroughly. This is definitely related to the last point, but when’s the last time you thought about your chewing? Most of us don’t, but there are important physiological things happening when we chew. As our jaws move, it helps to switch our nervous system into the parasympathetic mode, also called “the rest and digest” mode. Our saliva is filled with enzymes that are vital to the breakdown of carbohydrates, so it’s important to coat our food with our own saliva. Also, remember that the smaller we mechanically break down our food, the more we can absorb those healthy nutrients that come from it. Figure out which foods give you those unpleasant side effects. Most of us are eating some type of food that is hard for our unique individual body to digest, and it could even be harmful to us if we continue to expose ourselves to it. Symptoms to look for are bloating, smelly gas, diarrhea, stomach pain, acid reflux (heartburn), brain fog and tiredness after meals. It can be daunting to figure out which foods are causing you troubles, which is when it’s a great idea to work with a nutrition or digestion coach to help guide you. A general guideline is to take the suspected food out for at least a week, and when you add it back in see what happens! I have had tremendous success with clients only focusing on just these three ideas. Depending on what’s going on for you, they might be enough, or maybe there’s something more to what’s going on for you. Digestive issues can be extremely frustrating, especially since they can affect how we feel on a daily basis. Don’t get discouraged, and be aware that taking a lot of over the counter medications to help with stomach pain or constipation/diarrhea are often masking a deeper problem, and can be detrimental over time. Be patient, and focus on expanding your diet to types of foods that don’t cause you digestive distress. Good luck and happy nourishing!